One of the keys to enjoying your retirement is avoiding financial woes. Financial problems are common when fixed retirement incomes come into plan. However, you can improve your financial situation significantly, if you own your own home. That is because your home has accrued value you can borrow from using a reverse mortgage. 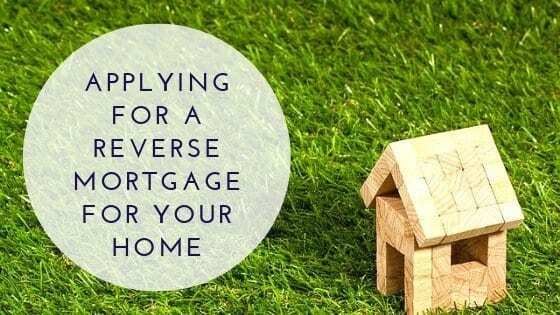 Here is how applying for a reverse mortgage for your home works. The reason a reverse mortgage is beneficial during retirement is it allows you to pull money from your home equity without having to repay it quickly. A standard home loan typically requires partial ongoing repayments starting almost immediately. The long-term nature of a reverse mortgage lets you use the money to make your retirement easier, rather than adding an immediate financial burden. You have to be at least 62 to obtain a reverse mortgage. You also have to apply for a loan on the home you use as your main residence. That home has to have a high enough value to make borrowing part of its equity feasible. A reverse mortgage calculator tool is required to figure out if the home is worth enough. The purpose of the reverse mortgage calculator is to factor in issues like government-enforced reverse mortgage value lending limits. The places offering reverse mortgages have expanded rapidly since they first started in the United States in the 1960s. Today, you can get one from a federal agency, if the reverse mortgage calculator determines it is worth doing so. A government-issued reverse mortgage is called a home equity conversion mortgage (HECM). There are also many private banks that offer these types of loans locally. In fact, a bank you already do business with in your town may offer them. One thing you need to be aware of when applying for a reverse mortgage is that they do have fees like standard home loans. However, initial fees are not always obvious because they are not generally charged to you in the form of a bill. Instead, they are deducted from your balance available to borrow. A reverse mortgage also comes with interest fees. Those can get quite high, since reverse loans are long-term contracts. The terms of a reverse mortgage allow you to pay the loan back at your own pace. The primary caveat is you have to keep residing on the property for the entire time. If, for example, you choose to stay in your home for 10 years, you accrue 10 years worth of interest. Technically you cannot convert a standard home loan to a reverse mortgage. However, you can obtain a reverse mortgage and use some of those funds to pay the remaining standard loan balance. If you choose to do so, you are obligated to pay that balance right away. You cannot maintain both loans at the same time. The remaining money after that standard loan is paid is free for you to use for any desired purpose. Defaulting on a standard home loan usually means missing a payment or two and having the lender foreclose. A reverse mortgage lender does not foreclose due to missed payments because payments occur whenever you want. There is no set schedule you have to follow. Nevertheless, you can default if you are incapable of meeting the ongoing responsibilities of home ownership, file for bankruptcy or stop using the home as your main living quarters. What Would You Spend Money Saved From Switching Utility Provider On?